Be the master of your own time and reach every goal you set for that day. Book our limo services by the hour, be free to go wherever you need to go and make as many stops as you like. For private or business reasons, you will realize all of your plans, but remain liberated of any stress that usually comes with traffic, parking spots and bad transportation. 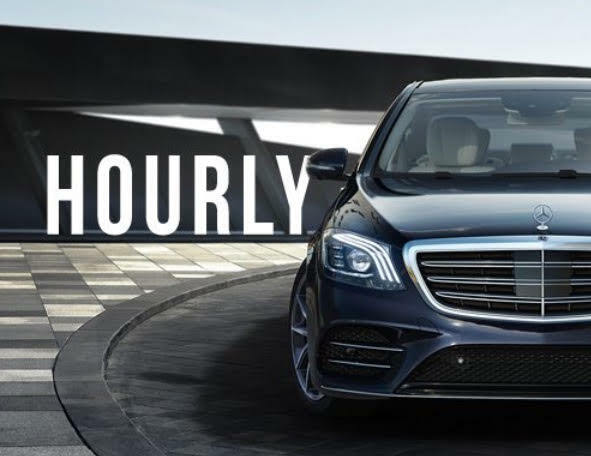 Hourly limo is perfect for shopping tours, Boston sightseeing, multiple business meetings and clients that need to be at multiple places in one day, nights out on the town, as well as those times when you are simply not sure when you will need to be picked up and taken to your next destination. You can enjoy comfort and luxury for an hour or an entire day – it all depends on your plans. You can do your business or have fun with your friends without having to think about transportation. With our Boston hourly limo you will get to experience all the benefits of having your own private limousine and your personal chauffeur. There’s nothing that makes you feel like royalty more than having your own limo booked by the hour. Our chauffeur is your chauffeur for as long as you book our limo. They will help you with luggage, give you tips on the best places in town to visit. If you need some peace and quiet to work or rest during the trip, our chauffeurs will make sure you remain undisturbed. They will open doors for you, help you in and out of the vehicle and provide you with refreshments if you need them. Uniformed and well-mannered, our chauffeurs will treat you, your friends and family as well as your business acquaintances with respect and a friendly smile on their face. Our rigorous hiring practices made sure that we hire only the best and most professional chauffeurs available on the East Coast. You can book any vehicle in our fleet as your limo by the hour. Our Cadillac and Lincoln sedans will be a good choice for your individual and two-person work travel by the hour. Our SUVs are a perfect choice for your family trips in the Boston area, as well as any business trip that includes a small group of your colleagues or employees. There are also luxury vans for larger groups, no matter if the reason is business conference or a big party. Whatever you choose, keep in mind that you will have your own well-maintained luxury limo with high quality black leather interior for hours. If you are not sure what kind of transportation would best suit your needs, our staff will readily recommend the best solution for you. Use the reservation form on our website, dial our phone or send us an email with details of your trip and we will reply with our offer in no time. Book your hourly limo service in just a few minutes and get the experience of a personal chauffeur that will make your day easier and more effective. Get your own limo at the most affordable rates and if you are our first time customer, you will even receive a 10% discount. The best thing about our hourly limo service is that you will know right away how much it will cost and then you will have the liberty to design your trip any way you like. Book your limo by the hour any time, because we are at your disposal 24/7 all year round.